[:en]Following the successful exploration visit by Scripps Institution of Oceanography, USA, in September 2018, a research collaboration with Carpe Diem Maldives continues through 2019 on the cruises and at the new resort for the 100 Island Challenge. At the heart of Carpe Diem Maldives everyday operations is a commitment to preserving the reef and marine life of The Maldives. Acting on this promise, Carpe Diem Maldives is delighted to continue with the Dive with a Purpose marine conservation programmes for 2019 in collaboration with Scripps Institution of Oceanography from the United States of America. Guest divers can join the visiting scientists from Scripps with a choice of two Dive with a Purpose trips on our award-winning cruises, as they continue to research the effects of climate change on the underwater ecosystem and to describe the variation of coral reefs across the globe. The Scripps visiting scientists will also spend two weeks at Carpe Diem Beach Resort & Spa in Raa Atoll, as part of their 100 Island Challenge research programme. 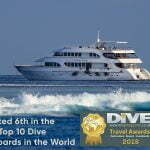 The cruises departing April 11-21 on Carpe Vita and May 5-11 on Carpe Novo will offer up to 3 dives a day to visit a cross section of reefs that were damaged in the 2014 coral bleaching and haven’t been visited since then, as well as healthy reefs with an abundance of marine life. Each of the Dive with a Purpose safari cruises invites 16 guest divers to join the 4 marine scientists as they replicate the methodology of the classical field surveys Scripps undertake, using innovative imaging and data technologies to archive reefs digitally and watch how populations change through time. Most of the dives will be on healthy reefs with soft and hard corals, giving divers the opportunity to see manta rays and the underwater life that is naturally surrounding each dive. The scientific research element is an enhancement to this particular cruise itinerary. 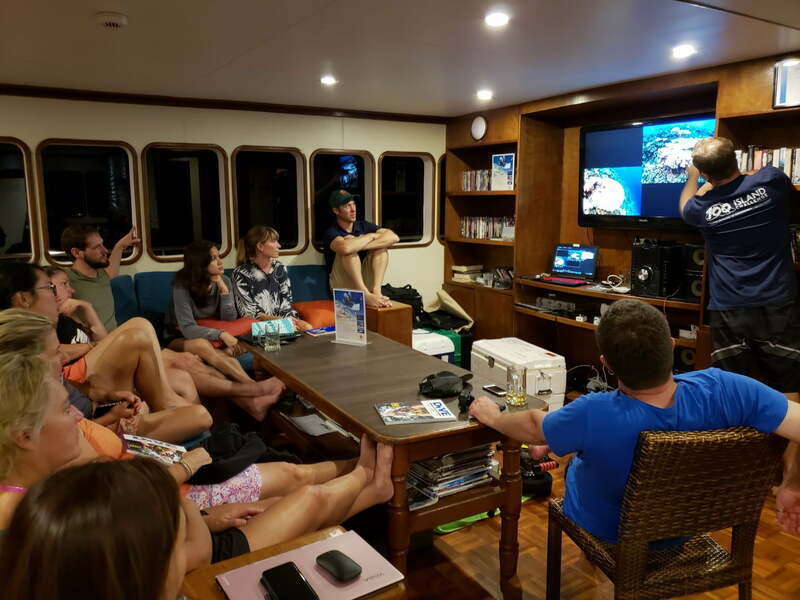 Recreational guest divers joining the cruise will learn how to take their own reef images to recreate a virtual reality of the dive using special software. In the evenings, presentations will elaborate further on the sightings of the day and the work of Scripps 100 Island Challenge. During their visit to The Maldives, the Scripps researchers will also spend two weeks at Carpe Diem Beach Resort & Spa to continue their project surveys on the sites officially assigned to the 100 Island Challenge. With the professional and scientific sampling approach, the research results will contribute to a better understanding of the current state of coral reefs globally and provide invaluable insights into how and why the reefs are changing through time. On reefs visited with Carpe Diem Cruises and on the house reef at Carpe Diem Beach Resort & Spa the visiting researchers from Scripps will provide scientific context to coral reef observations through informational lectures, discussions, and general conversations. They will demonstrate use of 3D imaging within the context of the 100 Island Challenge, introduce workflow and approach for 3D imaging to guest divers, and create 3D models from guest-collected imagery, providing them with a 3D image as a take-home memento for participating in the dive with a purpose week. For more information, please enquire with your local travel agent or direct with Carpe Diem Maldives at info@carpediemmaldives.com. It’s a shame you don’t have a donate button! I’d certainly donate to this fantastic blog! I suppose for now i’ll settle for bookmarking and adding your RSS feed to my Google account. I look forward to brand new updates and will talk about this website with my Facebook group. Chat soon!